Shows all available conditional incentives. May not be combined with each other and not everyone will qualify. *Price(s) include(s) all cost to be paid by a consumer, except for licensing costs, registration fees and taxes. Boasts 22 Highway MPG and 14 City MPG! This Jeep Grand Cherokee boasts a Regular Unleaded V-8 5.7 L/345 engine powering this Automatic transmission. WHEELS: 20 X 8.0 POLISHED/TECH GRAY ALUMINUM, TRANSMISSION: 8-SPEED AUTO (8HP70), TIRES: 265/50R20 BSW AS LRR. QUICK ORDER PACKAGE 22H , PREMIUM ALPINE SPEAKER SYSTEM, NORMAL DUTY SUSPENSION, MANUFACTURER'S STATEMENT OF ORIGIN, LUXURY GROUP II, JEEP ADVANCED ACTIVE SAFETY GROUP, GVWR: 6,800 LBS, FULL SIZE SPARE TIRE, FRONT LICENSE PLATE BRACKET, ENGINE: 5.7L V8 MDS VVT. 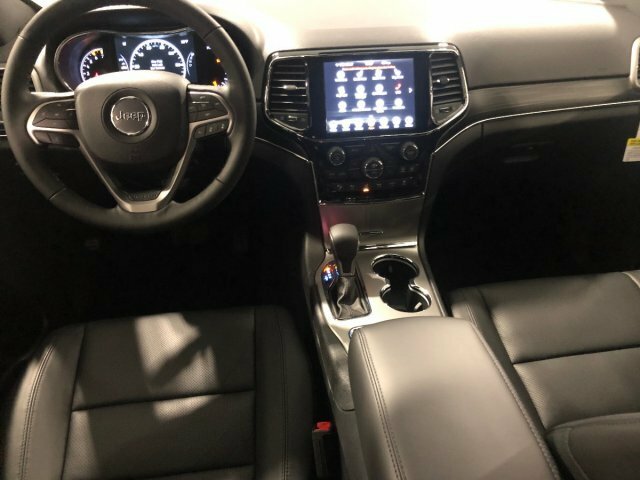 Stop by Chrysler Dodge Jeep Ram of Englewood Cliffs located at 100 Sylvan Ave, Englewood Cliffs, NJ 07632 for a quick visit and a great vehicle! **The advertised price does not include sales tax, vehicle registration fees, other fees required by law; finance charges and any documentation charges. A negotiable administration fee, up to $115, may be added to the price of the vehicle. A dealer preparation fee may be charged at time of sale for additional work and/or items requested by purchaser at time of sale. Vehicles listed as certified by dealer meet all OEM certification specifications. No warranties or service contracts are expressed or implied other then those that are included in final sales contract. The 2019 Jeep Grand Cherokee is available in seven trims: Laredo, Limited, Trailhawk, Overland, Summit and the high-performance SRT and Trackhawk. All but the SRT and Trackhawk feature a 3.6L V6 engine that makes 295 horsepower and 260 lb-ft of torque. The engine features variable-valve timing, as well as auto-stop/start technology. Limited, Overland, Trailhawk and Summit models offer an optional 3.0L EcoDiesel V6 with 240 horsepower and 420 lb-feet of torque. The EcoDiesel engine achieves up to 30 mpg on the highway and gives Grand Cherokees so equipped an effective range of up to 730 miles on a single tank of fuel. A 360-horsepower 5.7L Hemi V8 engine is also available on these same trim levels. Meanwhile the SRT comes with a 6.4L V8 that makes 475 horsepower and the Trackhawk with a 6.2L supercharged V8 capable of an amazing 707-horsepower. Most trims can be outfitted in either 2- or 4-wheel drive, while the SRT and Trackhawk utilize the Quadra-Trac Active On-Demand all-wheel drive. All models are paired to an 8-speed automatic transmission. Independent front and multi-link rear suspension systems and a unibody structure have made the Grand Cherokee's frame very rigid. Jeep's Quadra-Lift air suspension, capable of lifting the vehicle 4.5 inches for more off-road ground clearance and Selec-Terrain traction control systems are available on 4-wheel-drive trims only. Standard equipment on the base Laredo includes keyless entry and ignition, 17-inch aluminum wheels, heated mirrors, rearview camera, rear parking sensors, dual-zone climate control, and a leather-wrapped steering wheel with audio controls. A 7-inch touchscreen infotainment system with Bluetooth, Apple CarPlay and Android Auto is also standard. The Laredo offers a few package options as well; Laredo E, Upland and Altitude. Each special trim package offers additional features to the standard, including options such as larger wheels, different interior finishes, power liftgate and more. The Limited trim adds upgraded 18-inch aluminum wheels, a leather interior with power-adjustable heated seats with memory, heated rear seats. 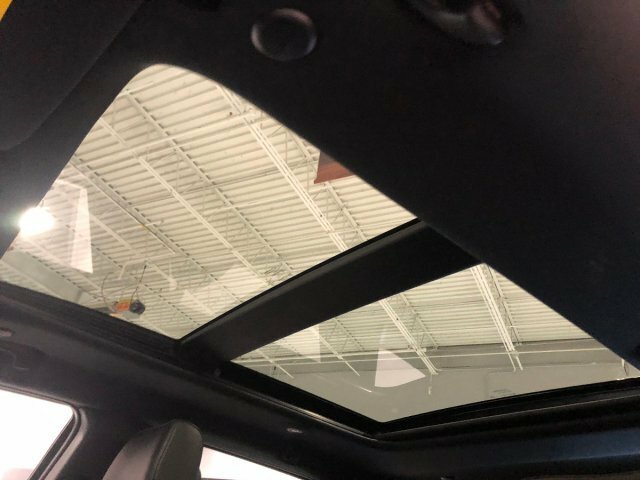 The panoramic sunroof is an upgrade, as is a premium sound system with hard disk storage and satellite radio. 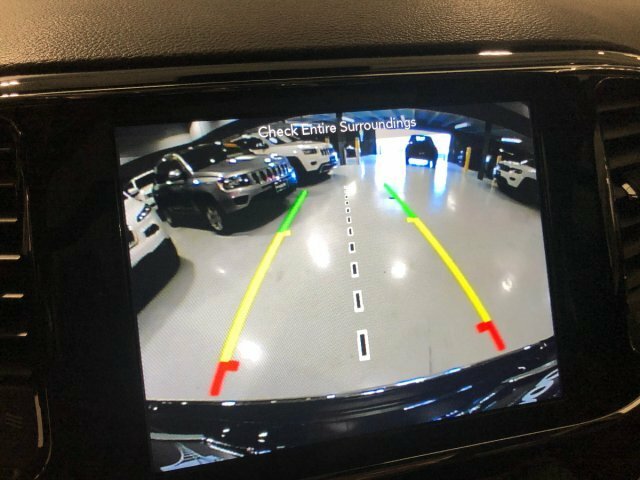 Safety and convenience are enhanced with a rear parking aid, integrated turn signal mirrors, rain-sensing wipers, automatic climate control, proximity entry, power liftgate and remote start. Starting in 2018 the Sterling Edition trim package is available for the Limited. This package adds custom accents to the interior and exterior styling, including additional chrome trim on the exterior and two-toned leather seats and instrument panel. Also included are 20-inch wheels, 8.4-inch touchscreen and a blind-spot/rear cross-path detection system. Trailhawk models come with Jeep's Quadra-Drive II 4x4 system, which uses an electronic limited-slip differential in the rear and Quadra-Lift air suspension to improve off-road performance. These refinements add improved articulation and additional travel to the already capable Grand Cherokee. The Trailhawk also gets a unique black interior with suede performance seats and a gunmetal finish for the interior trim. Outside, Trailhawk models get 18-inch off-road wheels, additional underbody protection, red tow hooks, and red Trailhawk badges. With the Overland trim comes more luxury as it gets 20-inch aluminum wheels, Leather-trimmed performance seats with heated and ventilated front seats, a heated wood/leather steering wheel and other interior trim upgrades. It also gains a remote trunk release, a power liftgate and a trailer tow package. The Summit steps up the luxury, convenience and comfort features, including adaptive cruise control, a blind-spot/rear cross-path detection system, front collision warning and exterior trim enhancements. A 19-speaker Harman/Kardon audio system and 825-watt amplifier takes the music to the next level. The Grand Cherokee has two models specifically designed for on-road performance, the SRT and the Trackhawk. The SRT comes with a 475-horsepower 6.4L V8 engine, while the Trackhawk, gets a supercharged 6.2L V8 engine making 707-horsepower. Underneath, there's an electronic limited-slip differential, active damping suspension and performance-tuned steering. Big 20-inch aluminum wheels, Brembo high-performance brakes, special body-color trim, HID headlamps, fog lamps and rain-sensing wipers are standard as well. Inside, the both models come with the 8.4-inch infotainment system with navigation, heated and ventilated power-adjustable seats, a heated steering wheel and keyless proximity entry. Options available across the lineup include a rear DVD entertainment system, a full-size spare, an array of aluminum wheel options and two different levels of towing equipment. A collision preventing blind-spot/rear cross-path detection system is available, as is an adaptive cruise control with Forward Collision Warning. The 4-wheel-drive models are all seriously capable but can be upgraded to meet whatever any level of off-road intensity the customer is looking for. Skid plates, hill descent control and a high-performance Quadra-Drive II 4WD system are available. Standard safety equipment across the lineup includes 4-wheel antilock disc brakes, active head restraints, a full array of airbags, including full-length side-curtain and seat-mounted side thorax air bags, electronic stability control, electronic roll mitigation, hill-start assist, automatic headlights, trailer-sway control and tire pressure monitoring system. Adaptive cruise control is also available, along with front collision alert and front park assist. The 2019 Jeep Grand Cherokee has added a number of meaningful updates to its flagship Grand Cherokee lineup. All models now include blind-spot monitoring and rear cross-traffic alert for starters. The optional 8.4-inch infotainment system now comes with navigation and features further improvements upon its touchscreen software with better responsiveness and resolution. The new Limited X model comes equipped with unique front and rear bumpers, a SRT inspired hood, and sporty 20-inch wheels. Summit and Overland models are available with new wheel options and three new colors: Slate Blue, Green Metallic and Sting Gray. The Jeep Grand Cherokee continues to prove it can hang with the premium SUV segment, with the renown off-road capability Jeep is known for combined with surprising levels of available luxury. Jeep does offer a wide range of trims however; the base Laredo starts at just under $31,000. Meanwhile, the top-of-the-line SRT model's blistering on-road performance rivals that of the Porsche Cayenne Turbo, but starting at $68,000, it's half the price. * Pricing - All vehicle pricing shown is assumed to be correct and accurate. Incentives, credit restrictions, qualifying programs, residency, and fees may raise, lower, or otherwise augment monthly payments. Additionally, incentives offered by the manufacturer are subject to change and may fluctuate or differ based on region and other considerations. Price(s) include(s) all costs to be paid by a consumer, except for licensing costs, registration fees and taxes.